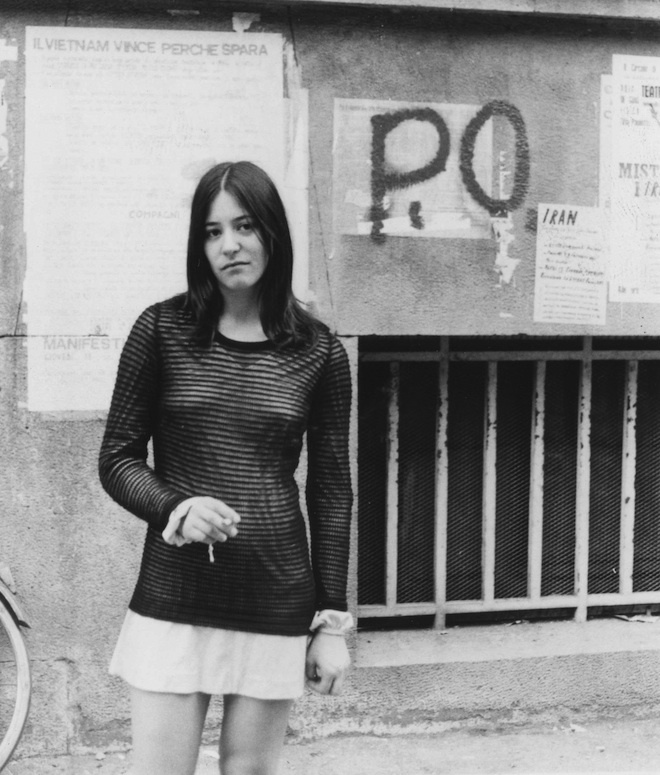 The author standing in front of Potere Operaio graffiti, June 1972. My only previous political experience was my participation in strikes against the French nuclear tests in the Pacific, when I was 14. I was then attending the gymnasium [junior high school] “Tito Livio” in Padua, where there were very few students on strike. At a certain point the principal arrived, and when he saw me, he tried to take me by the ear, saying, “Come inside.” I tore away from him, and I told him that he couldn’t address me like that. The students who went on strike were all punished by being held back in their academic progress because of their participation. The second great experience that I had which prepared me for a life of political engagement was that of declaring myself to be an atheist when I was 16. I was living with my parents in Dolo, a small town between Padua and Venice, and my family was very religious (Catholic). But I was seeing so much poverty and injustice around me, against which the official Church was doing very little. My stance, which was against the role of the church hierarchy, was a shock to my parents, but they endured it. Finally, when I was 18 years old, I decided to leave home in order to support myself while I studied at the university, although my parents were affluent and could pay for my studies. I wanted to be in control of my life and live without social privileges. I did a lot of jobs, from being a shop assistant in a library to being a trade representative dealing with works of art, and being a librarian at the university. This time my parents wept very much: from their viewpoint, their only daughter (I had three brothers) was the most rebellious and looked at life in a way that they felt would result in hardship. When I entered Padua University, in the Faculty of Humanities, the student movement was beginning. It was a great and huge movement that wanted to reinvent our way of life and the organization of society, starting from changes at the university. I could not help but join it with great enthusiasm. As students, however, we were isolated from other people, especially from the workers, who at that time were engaged in their own struggles. For this reason I took part in the struggles of commuters, and of workers in the department stores. Commuters wanted to have their commute time recognized by enterprises as part of their work time, and not as their personal problem. Furthermore, commuters’ trains were the worst of all the state railways: dirty and perennially late, and without any respect for the commuters—for example, if there was a delay, no one informed people why, or when the train would arrive. The workers in the department stores wanted a higher wage and also better conditions of work, including shorter hours. It was my participation in these struggles that forced me to better understand the role of workers in capitalist society, and to think about how to understand those roles. I decided to attend a seminar that Ferruccio Gambino was holding in the Faculty of Political Sciences, in which they discussed Das Kapital by Karl Marx. I began to understand the meaning of many concepts and categories that were used in the movement, but which had for me at that time a vague meaning. The most important things I learned in Ferruccio’s class on Marx were the basic concepts of class, capital, working class, labor, productive and unproductive labor, surplus value, and so on, but reshaped in a way that could effectively capture all the changes produced by capital in the history of society after Marx, and especially in the society in which we lived. The consequent reading of society proposed by Ferruccio was very different from the vision of orthodox Marxism that the Communist Party was elaborating and proposing. I soon realized that in this context there was a great political intelligence to be found in engaging with the present, but also in understanding the past, and that the group Potere Operaio (Workers’ Power) and its discourse provided a formidable toolbox for all militants in their political struggles. And above all, this group was committed to creating an organizational platform where students, in addition to workers, could find space to unite. At that time, the big problem was that of breaking down the social barriers that strongly separated the students from the workers in the factories and the other workers. However, this reexamined Marx, although powerful in comparison to the orthodox version, continued to remain blind towards the reality lived by women. So Potere Operaio’s discourse was very advanced in considering the new factories, the new workers’ role in the contemporary capitalist system, but it was very poor in considering housework, affects, emotions, sexuality, education, family, interpersonal relationships, sociability, and so on. The author speaking at a demonstration in Piazza Ferretto, Mestre, March 1974. I do not like to talk about the limits of Potere Operaio; as feminists we criticized and contested them several times for their lack of awareness of the social condition and roles of women. However, I think that the militants of that movement did all that was possible to increase the pool of activists and attract other class sections, from factory workers to employees, from high school students to teachers in middle and high schools, and so on. They also made enormous progress in expanding political discourse outside of Marxist orthodoxy. They made the Marxian legacy something dynamic and useful for analyzing and understanding society in the second half of the 20th century, as they taught to all grassroots activists, including me, the ability to use Marx without deference. My participation in Potere Operaio was limited, though, because I began to participate in the emerging group Lotta Femminista (Feminist Struggle). I began to participate in Lotta Femminista when I was 22. In the meantime, I had grown up, learned a lot, had overcome my shyness for speaking in public, and knew that it was time to give a political meaning even to my personal choices. The personal struggles that many women had engaged in, for their own sake and in order to change society, were in need of a sounding board and a uniting force that would increase their power. This force was the discovery of class consciousness on the part of women, which would serve as the engine of political organization for their social struggles. 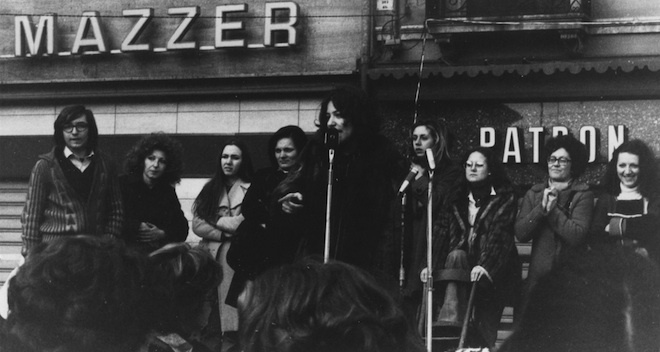 Lotta Femminista brought the workerist experience to the feminist movement. On the basis of these political experiences, I decided to dedicate my main effort to analyzing women’s conditions of life from the perspective of political economy, reconsidered in Marxian terms. Of course, I had to bend the Marxian categories in light of the feminist experience and political tradition. I was pushed to write The Arcane of Reproduction by the practical needs of the feminist struggle. In this effort, I had major support from Mariarosa Dalla Costa and Sandro Serafini (of Potere Operaio), who reviewed the book chapter by chapter. This book, in fact, discusses the main political issues debated at that time within the entire political movement. 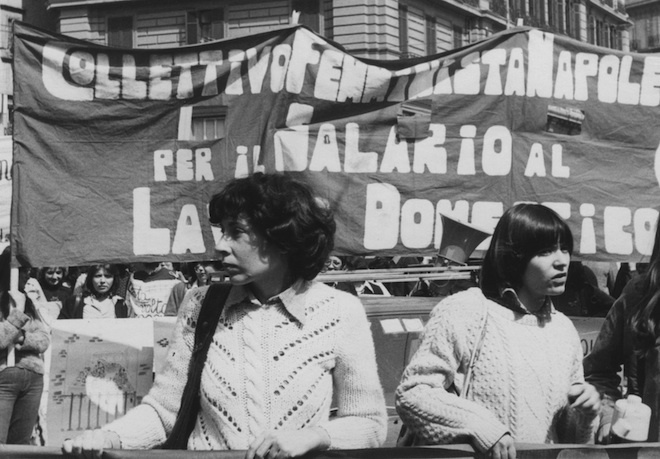 We had to manage the public, political debate within our groups, within the feminist movement and the wider movement, made up of students and political organizations like Potere Operaio and Lotta Continua (Continuous Struggle). We needed to clarify and explain, first of all to ourselves, and then to the entire movement, why militants needed to go beyond the Marxian categories and in which sense. For example, in which terms could women be considered working class? Which women? Lotta Femminista had always been a minority tendency within the broader feminist movement, because women in the feminist movement were at first rightly wary of any political theory developed in masculine political traditions. The irony is that the broader feminist movement would have become much stronger and more robust if it had taken up our political proposal of “wages for housework” (i.e., “domestic labor,” including parenting, caretaking, etc. ), rather than assuming, without knowing it, the Leninist strategy of fighting for work outside of housework as the means of assuring a wage for women. But it was very difficult for the Committees for Wages for Housework to find consensus on their proposal, because feminist women in general thought it was better to reject domestic labor in toto and leave their homes. In this period, we workerist feminists were not able to convince the whole feminist movement that the refusal of work must be managed within a process of wage bargaining, or otherwise domestic work would return in another manner alongside work outside the home, which we were also struggling over. In other words, the feminist movement never included, in its general political program, our objective of first obtaining social recognition for the value of housework by claiming money for it. The strategy that feminists applied to housework was simply to invite women to refuse it. But after a while it became clear that this strategy was ineffective, because it was not able to make housework disappear on a mass scale. A May Day demonstration in Naples. From left: Mariarosa Dalla Costa, Leopoldina Fortunati. The feminist movement had the great merit of giving women an overall bargaining power at the social level. However, as we had anticipated, the problem of “housework” or domestic labor did not disappear from the political agenda of women. Unfortunately, a reflection on the failure of this strategy has not yet been made. New generations of women need to learn from this political error and understand that housework, in its material and immaterial aspects, must be socially recognized as productive labor. Leopoldina Fortunati is Professor of Sociology of Communication and Sociology of Cultural Processes at the Faculty of Education of the University of Udine, Italy.